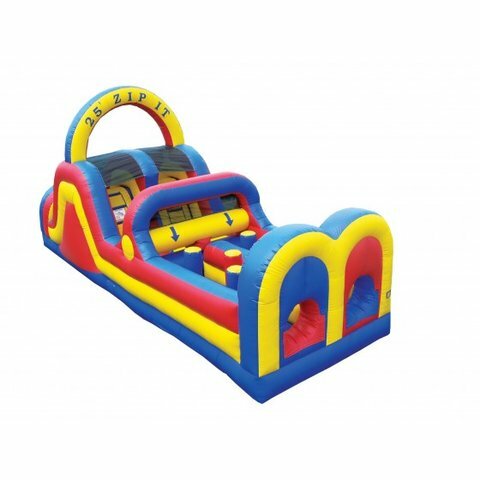 This dual lane obstacle starts off with the kids climbing through the bulls eyes at the front of the unit, navigating through the pop ups and the squeeze tubes then up the ladder and down the slide. This compact one piece unit with a footprint of 25L x 10W x 14H will fit all those small backyards. Loads of fun for kids 12 and under!